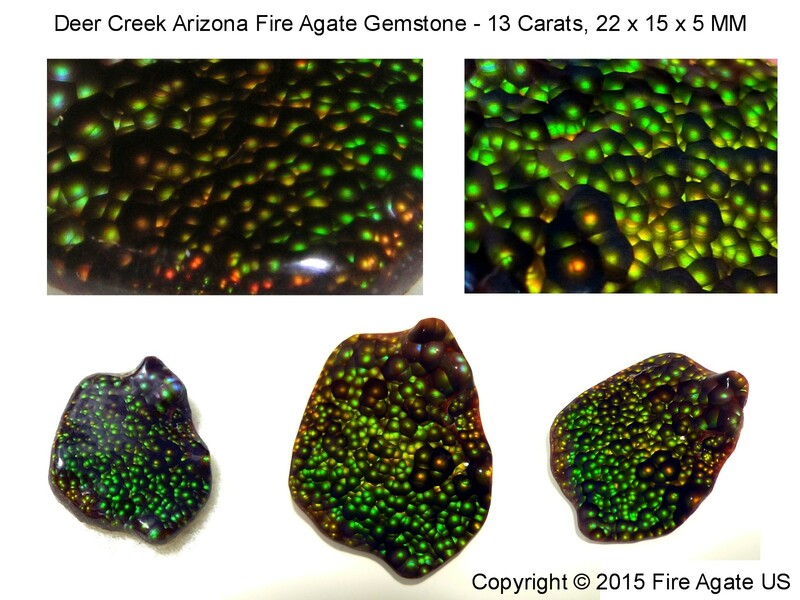 Deer Creek, Arizona, is known for producing high quality fire agate gemstones that often display vivid bright color variations. These gems vary greatly in both color combination and the style of fire display. The following is a selection of some of the Deer Creek gems that we have either carved, owned in the past, or are part of our current gemstone collection. 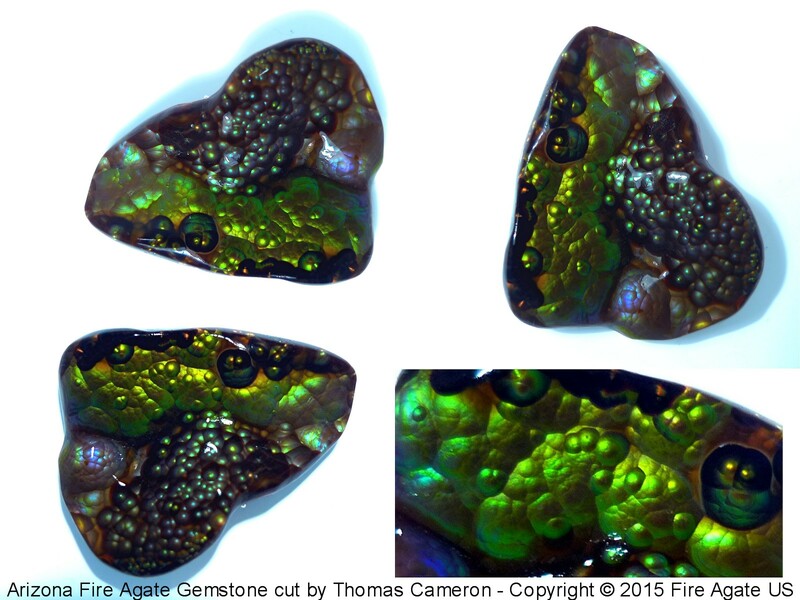 We have only been carving fire agate gems for a few short years so our collection is still fairly small, but we are constantly mining new fire agate gemstone rough material from our mining claims at Deer Creek and will be adding to this page as time progresses.